Nothing says "Autumn" quite like Maple leaves. The deep reds, light browns, bright oranges, muted greens and soft yellows combine into a burst of color that will have you thinking of crisp Autumn breezes and clear, starry nights. 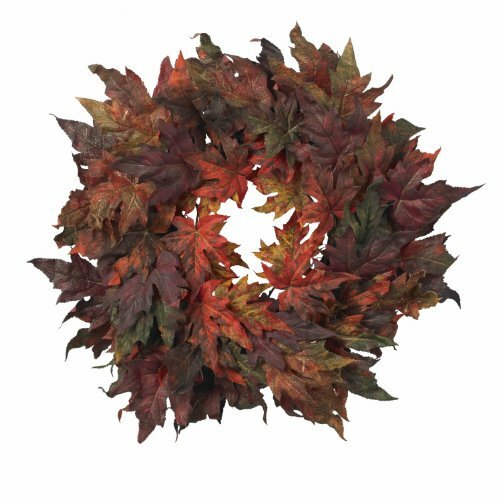 At 30", this wreath is large enough to be a focal point and is the perfect piece of décor to welcome the holiday season.